they aren’t sheep. In this passage, we can identify four characteristics of bona fide sheep. See if they apply to you. probably not one of His sheep. Second, sheep are obedient. “They follow me” (John 10:27). become a member of His flock. moment you receive Christ. That brings confidence. Your destiny is set. body, present with the Lord. is the accompanying truth that you are secure. 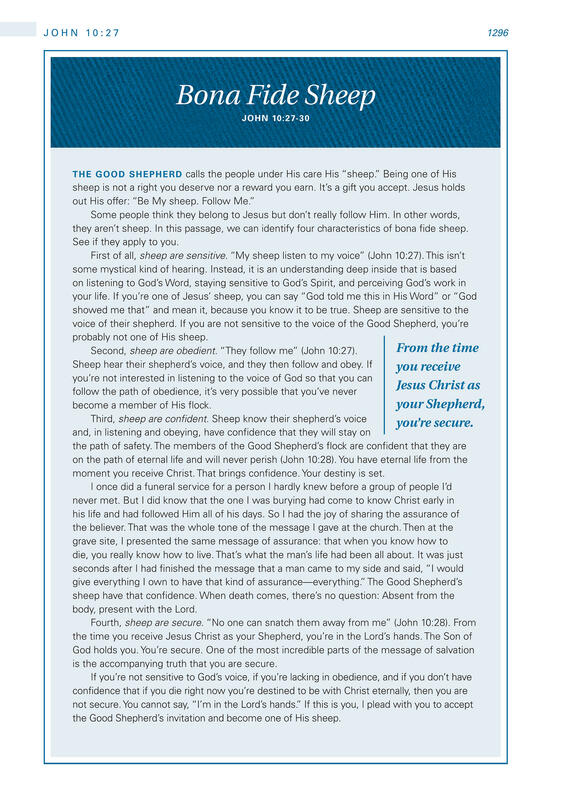 the Good Shepherd’s invitation and become one of His sheep.